The thought of a log cabin with beer on tap and a 10-person hot tub comes to mind when thinking of on-hill accommodations. 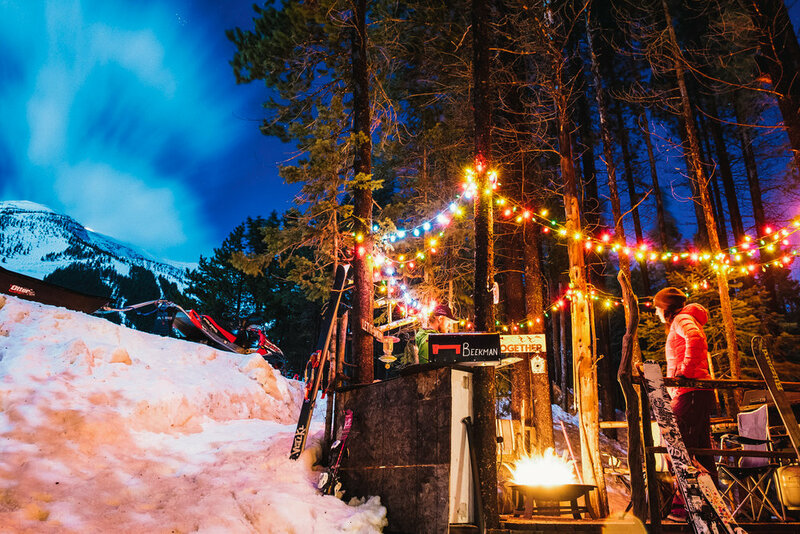 Most likely, those accommodations would be found in a resort town with a wide array of après ski activities in which to indulge. 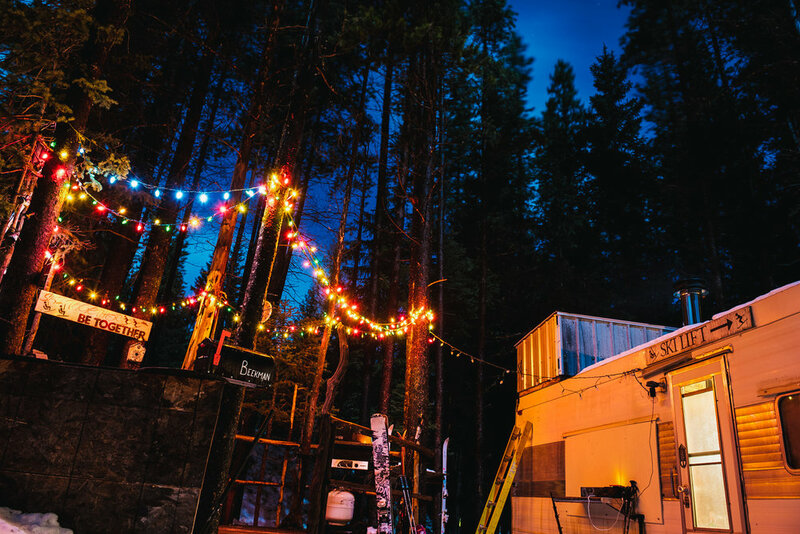 For Mackenzie Beekman, though, along with husband Ryan, it meant hauling a 1972 Custom Coach trailer down a gravel road in southwestern Alberta to Castle Mountain. With tight quarters and no running water, their accommodations are far from plush, but it’s the way the pair has continued skiing 50 plus days seasonally since having children. Passing on the love of the mountains to their girls remains the ultimate goal. Mackenzie did not grow up on skis, besides the occasional school trip offered in the small, southern Alberta towns she called home. When she began dating her now husband, telemark skier, and self-acclaimed, “snow-nerd,” there wasn’t much of a choice but to learn to love to ski. It was a natural progression for her, having grown up playing a variety of sports and a strong love for the outdoors. The two spent nearly all their free time over the next twelve years chasing powder. Beekman’s skills progressed, and her passion stoked by skiing near their home in rural Alberta, at Castle Mountain and Fernie Alpine Resort in BC. She then began travelling all around Alberta, British Columbia and Montana, in search of deeper snow. The next step was getting into the backcountry, both touring and sled-skiing. 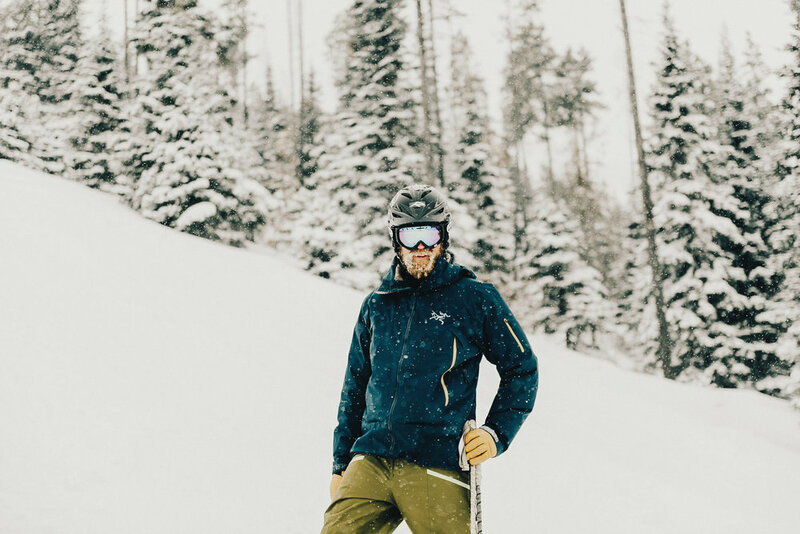 Searching for a powder day in the glades, but thrilled to be out regardless of terrain or conditions. 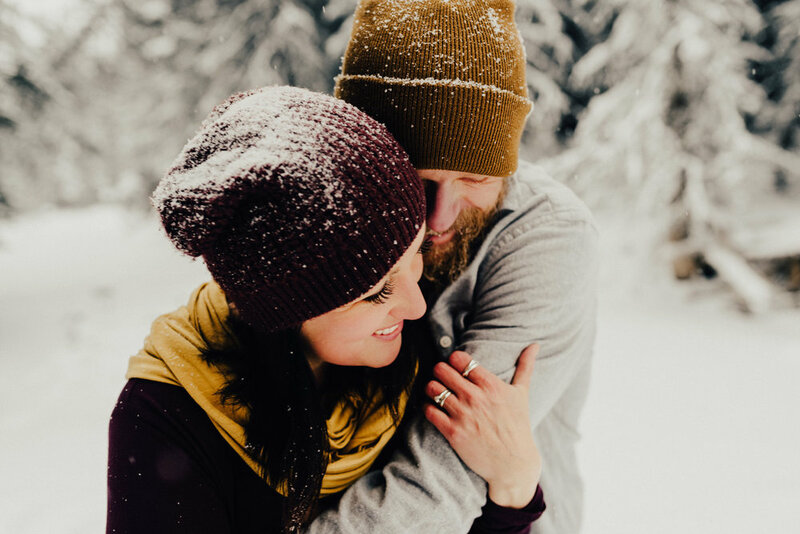 Married in 2006, the couple continued spending time in the mountains; and started to plan a family. 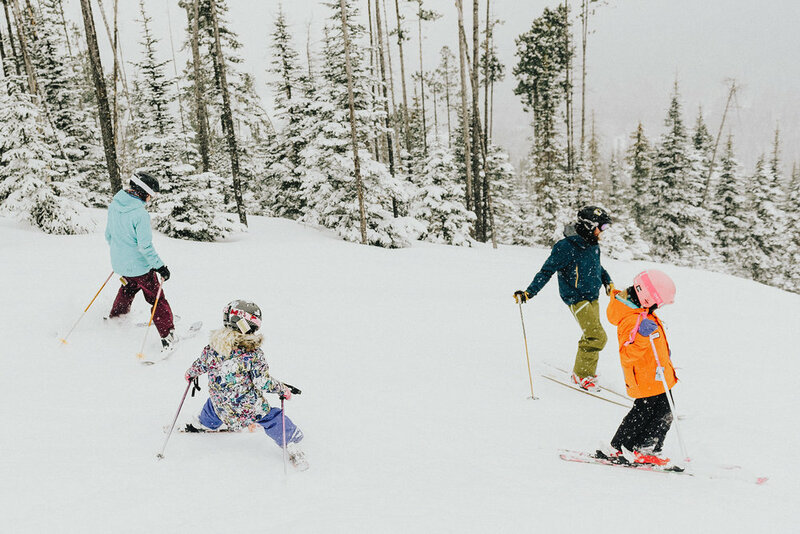 Beekman always knew that they would figure out a way to incorporate children into their lifestyle – hoping always they would share their love of skiing. In the winter of 2009, when Mackenzie was 7 months pregnant with daughter, Mara, the couple went on one last ski trip, working their way through the Canadian Rockies, and ending up on the West Coast of Vancouver Island at surf spot, Tofino, British Columbia. Having skied the whole trip out, Mackenzie recalls the point where she thought, “I’m done now. I’m good,” and headed home to await the baby’s arrival. In 2010 with a one year old in tow, the Beekmans hauled an old, converted hunting trailer to Castle Mountain, to stay in each weekend. They also used most of their holiday time from work, so they could spend Christmas break and the month of January in the trailer, taking turns skiing. Staying in such tight quarters, with no running water, and a wood burning stove proved challenging. From preparing baby food to potty training to fire safety, the ski trailer has been a labour of love. 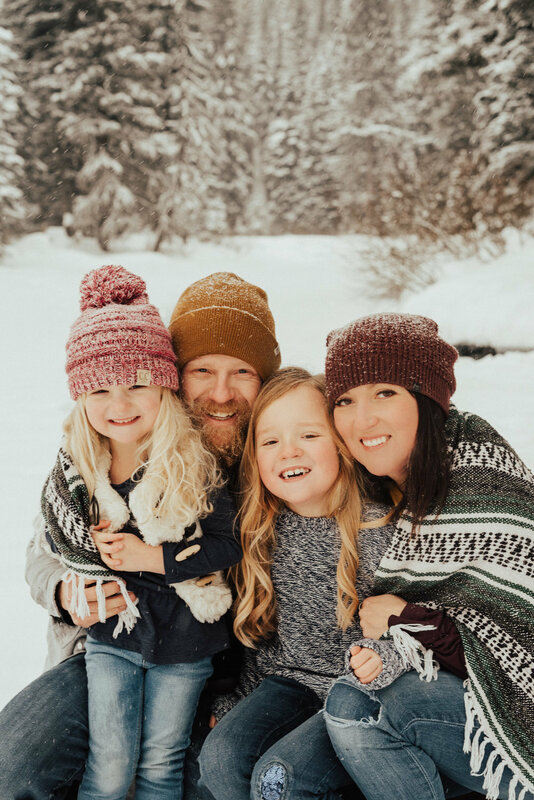 However, it has also made it possible for Beekman to be out in the mountains with her family, and share she and Ryan’s love of skiing with their girls. In 2013, little Sophia joined the family. 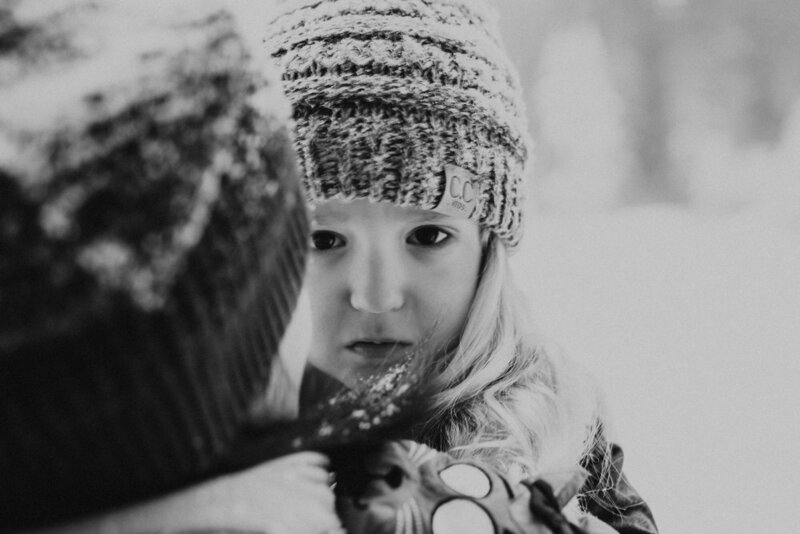 With a nearly four-year gap between children, Mara was already participating in the Westcastle Ski Club when Sophia was just a baby. Mara, now 6, is able to ski the entire mountain, participates in local races, and snowboards as well. Sophia is now on skis too, eagerly charging downhill harnessed to a parent. 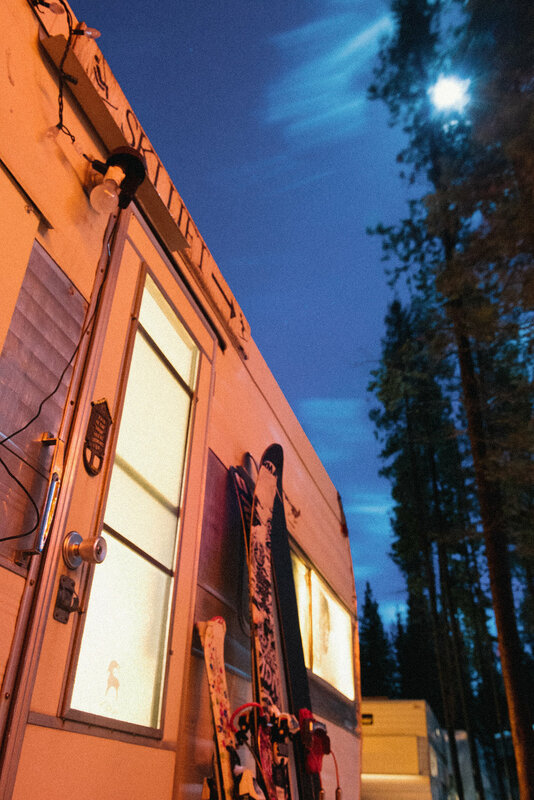 The ski trailer has become more than just a place to stay to ski. It’s a place without distractions, (no Wi-Fi or cell-service). “It’s full-on family time – all the time,” says Mackenzie. “Everyone is in it together, for better or worse. If you’re sick of being inside, you go for a walk, or snowmobile, or just play outside. The Beekmans built a deck in the trees complete with ski-tuning table, barbecue and fire pit for a place to hangout and warm-up. Beekman has strung up colorful Christmas lights to brighten the long nights, and added a hand-painted sign to one of the pines. It reads, “Ski together – be together,” the sentiment ringing particularly true in this environment. The deck is also where the two are able to have some time alone or host friends once the kids are in bed. In future, Mackenzie is excited to get into the backcountry again with Ryan, when Sophia joins Mara in the ski club. Ultimately, they would like to experience that as a family one- day too. She isn’t looking at that as the end goal, though. Being together now, is the valuable part; it doesn’t really matter where on the hill. Mackenzie’s enjoyed each step of the journey, and appreciates no end being able to sleep, play and ski in the mountains, together. Note: The Beekman’s can still be found cruising the Castle with the girls (now 5 and 9) but camping in a slightly bigger trailer.